Pat Summitt XO, the TV documentary that is part of the ESPNW Nine for IX series this year, is a tour de force. Many of the stars of women’s basketball are out, singing her praises during this 1-hour, must-see documentary. The details of her life story that resonated the most for me were those that made it clear how much of a pioneer Pat Summitt truly has been and continues to be. I had forgotten that when Pat was a teenager growing up in Clarksville, TN, in the 1960s, her family moved to nearby Henrietta so she could play basketball in Cheatham County. Though we think of Tennessee as a hotbed of women’s basketball now (the Women’s Basketball Hall of Fame is in Knoxville), girls were victims of the same hit or miss school policies when it came to high school athletics in the 1950s and 60s as were girls in many states. That Pat found a way to play speaks volumes. Her father was a strict, no-nonsense guy who didn’t hug her until after her first national championship. But he must have seen the light in her eyes and her determination when she was playing hoop in the barn every night after the chores. He might have denied her the opportunity to go to a birthday party because there were chores to do, but he couldn’t deny this daughter of his the opportunity to play basketball. Her proudest accomplishment, I am sure she would say, is the fact that amidst this brilliant career, she raised Tyler, a son who seems to have become a wonderful man. Tyler is front and center in this documentary, and what we come to see, again, is how Pat pioneered the notion that you could be a high-powered, driven, successful coach and a loving, devoted mother at the same time. 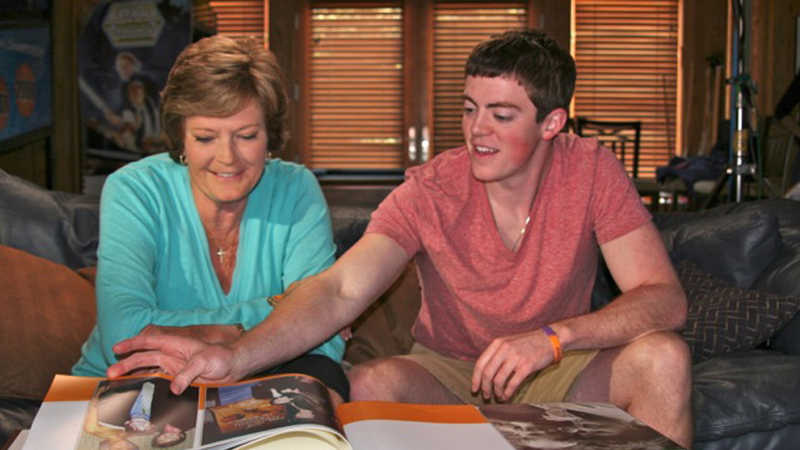 Now she’s pioneering a new approach to a devastating diagnosis with the Pat Summitt Foundation. Though we will miss the stare on the sidelines this coming season, it cheers us to know that Pat isn’t going anywhere. Just as a determined Pat decided 22 years ago that she wasn’t going to birth her baby in an airplane over Virginia, Pat is determined to fight the disease in her own way. Alzheimer’s treatment, awareness, and outcomes, we hope, will look very different in the years to come if Pat has anything to say about it. And we will all benefit from her efforts to keep finding a way.